Joining other SMBs and Jus from Making Mum (who's the host) this week, here's sharing my top 5 favourite things to buy from Daiso! There is a whole wall of art supplies that you can get for folks who are experimenting with art for fun. 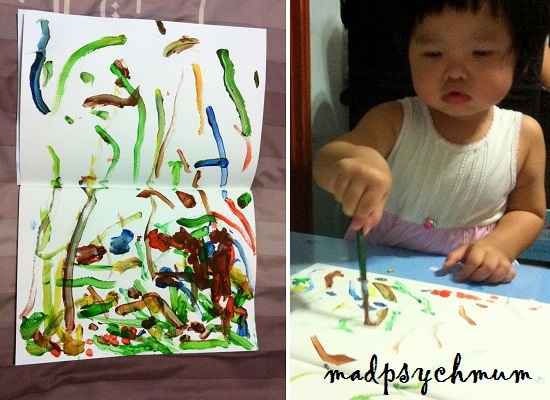 I personally thought the canvas and sketchbooks that I bought from Daiso were cheap and good. The paint however are not from Daiso as I prefer to buy them in large quantities and Daiso only sells them in individual tubes. I've also used assorted craft materials such as border stickers, fancy brads and other cool stuff from Daiso for all my scrapbooking projects. 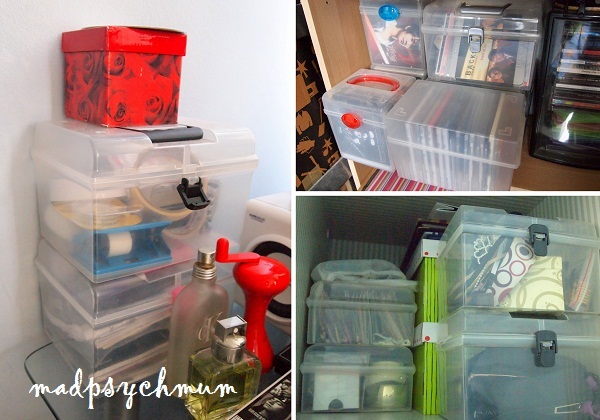 Containers are a must for every organiser! See how I use it to organise small things around my house (among other nifty ideas) and tubes of paint and paint brushes. Boxes in every shape and size to organise everything in the house! I love the photo frames from Daiso, super cheap and perfect as gifts! I love all the magnets at Daiso! They have big ones with hooks for hanging heavy duty stuff, blank ones for sticking behind stuff to make into magnets and small ones that we can personalise. Do you have top faves at Daiso too? Do share!